Yuichi Ishizuka, Canon president and CEO for EMEA. 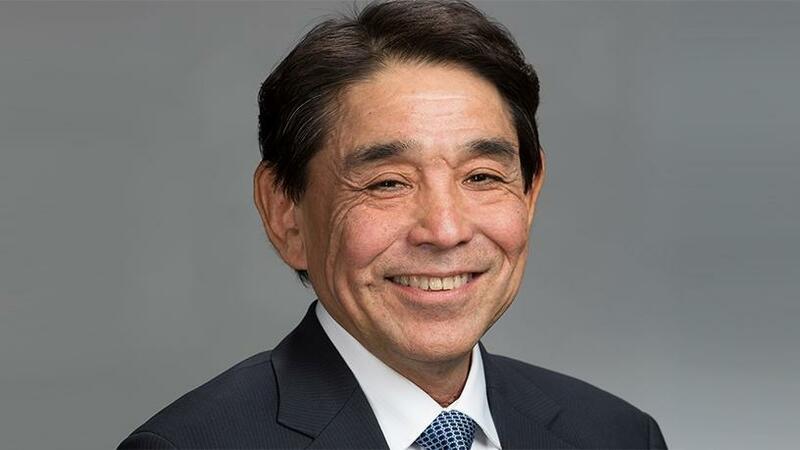 Canon has appointed Yuichi Ishizuka as the new president and CEO for Europe, Middle East and Africa, succeeding Rokus van Iperen who is retiring after six years in the role. Van Iperen was appointed president and CEO of Canon Europe in 2012 following a distinguished career at Oc'e. Initially tasked with ensuring a smooth integration of Oc'e into the Canon business, he successfully presided over several other significant acquisitions to enable the company's digitisation strategy, says Canon. The company credits him with building a solutions-focused portfolio and establishing the foundation of new businesses in high-growth areas such as network visual solutions. Meanwhile, Ishizuka's new position was effective from 1 April. He was previously the president and COO for Canon USA. The company says the new regional leadership ensures continuity of strategic transformation; strengthening core businesses and expanding into new growth areas. Ishizuka is tasked with bolstering and growing existing core businesses while capitalising on the brand's imaging expertise in new areas such as network visual solutions, industrial equipment and commercial printing. He brings a wealth of expertise and international experience from other regions, having held senior positions across Canon's portfolio of businesses in North, Central and South America, as well as Japan, says Canon. Ishizuka began his career at Canon in Japan in 1981, where he worked in the Camera Division. In 1983 he joined Canon US, but was soon transferred to Canon Canada in 1988 where he became product and marketing manager of the camera, video and still video department. He later returned to Canon US in 1993 and spent two years in the product control division before he was promoted to marketing manager of the camera division. In 1997, Ishizuka went back to Canon Japan for a year, returning to America in 1999 to start Canon US's digital camera division as its assistant director. After several promotions within the consumer imaging division, he was promoted in 2007 to senior vice president and general manager of the Consumer Imaging Group, now known as the Imaging Technologies and Communications Group. In January of 2010, he was promoted to executive vice president and general manager and in April of 2012, he was appointed as an executive officer of Canon. In 2014, Ishizuka was appointed to senior executive officer of Canon Japan. Ishizuka takes over an organisation that has operations in 120 countries, and employs approximately 18 000 people, says the company.